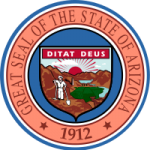 The Arizona child support guidelines offer a standard set of rules for calculating child support due from a parent for the support of his or her children. Arizona uses the income shares model which estimates how much the children would receive had both parents continued to live together and then divides the share between the parents on a proportional basis. The child support guidelines take into account the gross income of the parents and then adjusts it using different factors. In addition, the guidelines take into account the need for health insurance for the children.